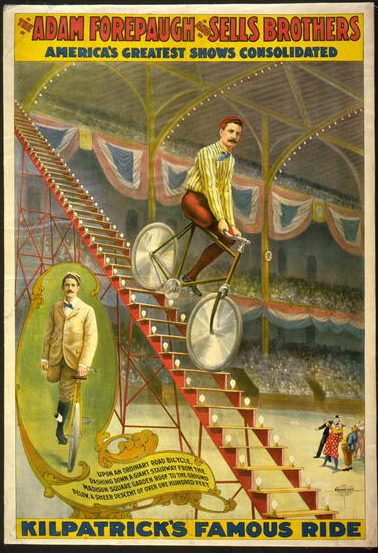 Summary: Full-length portrait of Kilpatrick, who has only one leg, standing with bicycle, and descending stairway on bicycle, as clowns and audience watch. Copyright by the Courier Litho. Co.